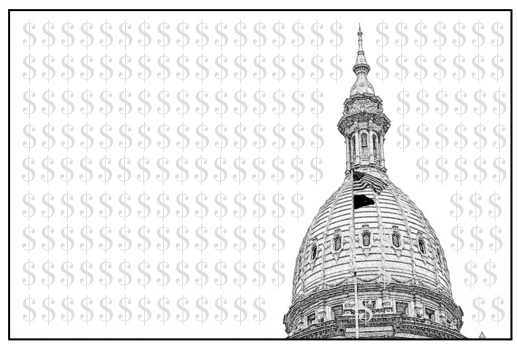 LANSING — The four main groups that raise money to elect Michigan lawmakers have more cash available at the start of 2018 than they’ve had at the start of past election years. And it’s not even close. The House Democratic Fund, the House Republican Campaign Committee, the Senate Democratic Fund and the Senate Republican Campaign Committee raise money on behalf of the four legislative caucuses. According to new campaign finance reports, they started 2018 with a combined $7.6 million available. Their previous high for cash available at the start of an election year was just $4.4 million at the start of 2014. Three of the individual caucuses — the House Republican Campaign Committee, the Senate Democratic Fund and Senate Republican Campaign Committee — have broken their individual records for money available at the start of an election year. However, the Senate Republican Campaign Committee is in first place by far. With Senate Republicans holding 27 of the 38 seats in the Senate, the committee had $3.4 million on hand at the close of 2017. Helping push the numbers upward are increased fundraising efforts, large donors and new contribution limits that took effect in 2013. Among those large donors in December were members of West Michigan’s DeVos family. Six members of the family each gave $40,000 to both to the House Republican Campaign Committee and to the Senate Republican Campaign Committee in December. The increased limits allow individual donors to give $40,000 a year to a caucus committee instead of just $20,000. 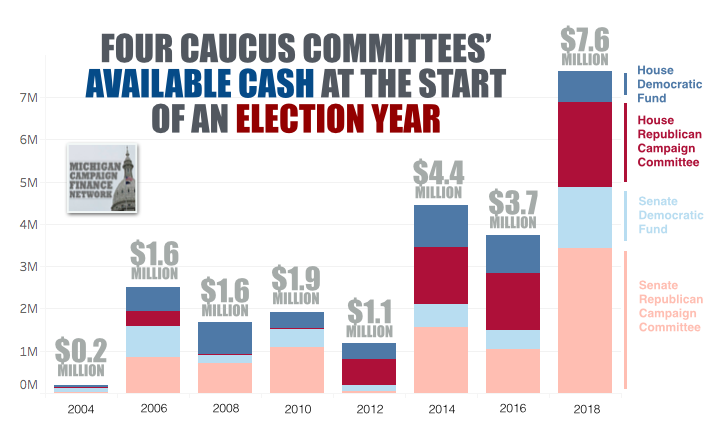 The following is breakdown of how much the caucus committees raised in 2017 and where the money came from.